Changing paths in the middle of a career provided even more challenges to conquer and books to write for another unique, unusual and accomplished NFPW member. Some of you will remember Mary T. Wagner from her presentation at the NFPW conference in Chicago. Affiliate and any leadership positions: Illinois affiliate (I grew up in Chicago). 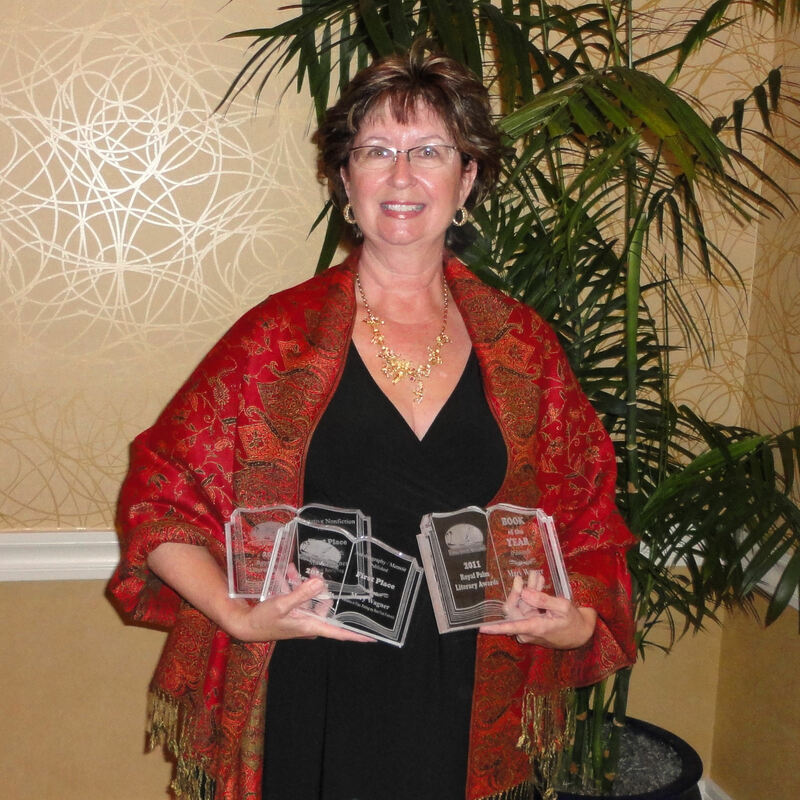 No leadership positions, but I won the affiliate’s “Silver Feather Award” in 2008 and 2011 and spoke about self-publishing at the NFPW’s national convention in Chicago in 2011. Years a member of NFPW: Since 2008. In a paragraph, tell us a little about you. After all these years, I am STILL a work-in-progress. I grew up in Chicago, but my family moved to an abandoned farm in northern Wisconsin when I was about sixteen. I suspect that’s where all the grist for the writing mill really started. My essay Cookie Therapy actually reaches back to that crucible. I actually sort of backed into print journalism when I was a sophomore in college, and discovered a thirst for writing I didn’t know I possessed. Newspaper work and marriage and motherhood (my four extremely awesome kids are now grown) followed, and I kept writing all along. Then I had a very serious accident in 1994–I broke my back in a longfall from a tall horse–and after I recovered I decided to go back to an early fork in the road and take the other one. So I switched career directions, went to law school and became a prosecuting attorney. At the urging of friends, I started blogging a few years ago at the same time my marriage ended, and most of those slice-of-life essays have ended up in my three books: “Running with Stilettos,” “Heck on Heels” and “Fabulous in Flats.” I’ve also developed passions over the past few years for digital photography and gardening, and have a lot of fun with both. I’m fond of saying that it’s never too late to make mid-course corrections! Don’t let a fear of embarrassment or a lack of total control and familiarity hold you back from spreading your wings. My biggest regret in college (and there are several) was that I backed out of an introductory broadcasting course because I couldn’t handle the idea of not being perfectly at ease and comfortable with the assignments from the start. And remember that you can do more than just one thing!! I don’t know if this would be considered “talent,” but I am completely lacking in organizational skills and self-discipline. I’d love to have some of those. In the meantime, I’m proud to having received a shout-out from the website “Imperfect Women” earlier this year. Either the western coast of Ireland or St. Simons Island, Georgia. But, I’d have to get my new grandson to move there too! Many, many people who have met me after I went to law school and became a prosecutor would be surprised to know that I struggled with a crippling fear of public speaking for most of my life. I can still feel the hyperventilation reflex hover at the edges if I’m arguing in front of the state supreme court. Oh my gosh. I have gotten so much encouragement and support and friendship and opportunity in this group it’s hard to even quantify. I joined when I was still fairly new at blogging and before I had even published my first book. To be so warmly accepted and encouraged from the start by this group of fabulously talented and experienced professional women journalists and writers absolutely meant worlds to me. And, it also helped me to rekindle a connection to my home town of Chicago, for which I’m very grateful. Way to follow you on a website, twitter, etc. This entry was posted on December 4, 2013 at 3:50 AM and is filed under Uncategorized. You can subscribe via RSS 2.0 feed to this post's comments.